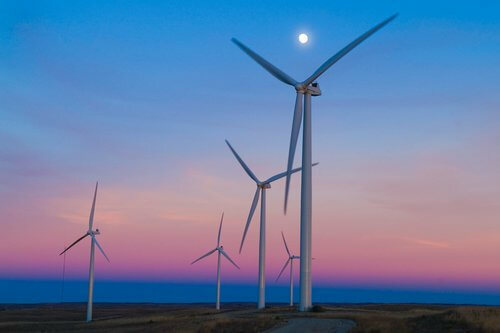 My Green Marketplace is happy to provide you with your official green energy sources 2018 primer. As most of us already know, green energy is energy that is created through environmentally friendly processes that do not use traditional carbon-based fuels. (Translation: no coal, no oil.) Such methods have many advantages: decreased dependence on finite resources that can run out, increased energy independence from other countries, the ability to diversify energy sources to increase efficiency, job creation, and of course, decreased emissions. (And in some cases decreased costs. Hopefully one day in all cases.) The most commonly encountered forms of green energy include: solar power, wind power, water power, geothermal power, and bioenergy. Read on for some great info on each and some awesome video. Believe it or not, there are two major kinds of solar power. The kind that most of us are familiar with converts sunlight to energy using photovoltaic cells (PC). How do they do it? In short, the cells absorb photons from the sunlight which creates an electric field that ultimately renders the electricity which we all love. This is what is happening when you see solar panels on homes, offices, or the roofs of parking lots. At My Green Marketplace we think that concentrating solar power (CSP) is pretty cool (and seems like it’s from the future) so we’ve included a short video below. Be sure to take a look. 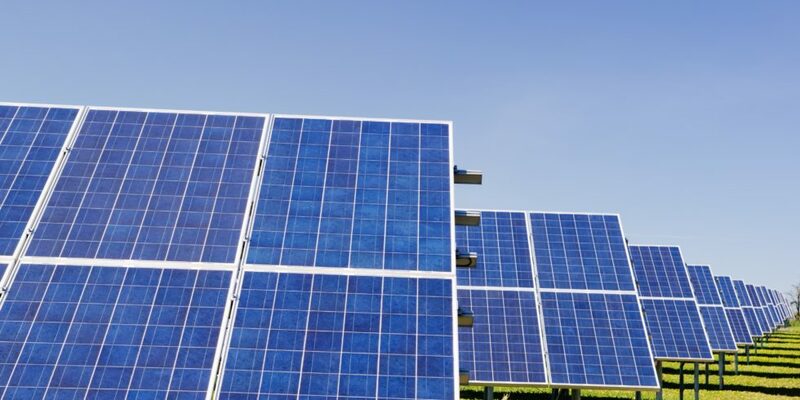 Also, if you are interested in learning more about Solar Power or getting more involved with solar energy initiatives check out The Solar Energy Industries Association. They’ve got some great resources. The most common forms of water power is hydro power, although tidal power is also being developed. Hydro power creates energy by using moving water to spin a turbine that transfers the water’s energy to a generator which then produces electricity. The most famous such location in the U.S. is the massive Hoover Dam, but these days hydroelectric facilities come in all shapes and sizes. Want to learn more about hydro power? Check out the video below from the United States Department of Energy. Geothermal power is a bit less well known than the other energy sources on this list but is no less interesting. The technology generally involve digging a well-like tunnel into the ground in order to access hot water or steam emanating from within the earth. The water / steam is then utilized in a manner similar to that used in wind power and hydro power, i.e. to rotate a turbine which transfers energy to a generator that creates electricity. In the United States, most geothermal energy is produced on the West Coast as well as in Alaska and Hawaii. Bioenergy is energy that is derived from what is known as biomass. What is biomass? Biomass is a substance that can be derived from a long list of organic materials including crop waste, algae, industrial waste, food waste, wood waste, and grasses, to name a few. It is unique in that it can be used in a wide range of applications. (Examples include clean gasoline substitutes, clean chemical substitutes, and electricity.) There are three basic ways to use biomass to create electricity: burning, bacterial decay, and conversion to liquid fuels such as gasoline. In most cases, they all involve using the biomass to create heat which is then used to create electricity. With such a wide range of inputs and outputs, bioenergy is generating a lot of interest. So there you have it. My Green Marketplace’s Green Energy Sources 2018 Primer. This is just some basic information. If you are interested in taking a deeper look at the science and possibility of green energy sources 2018, keep an eye on the Green Energy portion of our blog.